While debt consolidation offers may sound appealing, especially if the new loan offers an attractive initial interest rate, it is important to consider all the factors before picking one up. If you are like most Singaporeans, your email and mailbox may be filled with offers for credit cards, mortgage refinancing and personal loans. Many of those offers stress the benefits of moving existing balances to the new lenders. While that may sound appealing, especially if the new loan offers an attractive initial interest rate, it is important to consider all the factors associated with debt consolidation. Even if you have not borrowed the maximum allowed for your credit card, paying down your balance should be one of your top priorities. Pay more than the minimum on your credit card balance. Interest rates charged on most credit cards are usually much higher than those found on other loans. Minimise your credit card usage for a period. Along with not subjecting higher balances to interest, using cash may help you identify ways to spend less. Start by reviewing the interest rates on your existing debts. Credit cards and unsecured personal loans usually have higher interest rates than other forms of secured debt like a mortgage, home equity loan or an auto loan. If you find that your rate on a home equity line of credit is less than the rates on credit cards, other personal loans or auto loans, utilising borrowing through that line of credit may save you money. Then evaluate your borrowing capacity available through a home equity loan. Borrowing through a shorter-term home equity loan will probably lower your interest rate, but most home equity loans have variable interest rates. If you have a great deal of high-interest rate debt, increasing the size of your fixed-rate mortgage by refinancing (even if you end up with a slightly higher mortgage rate than what you currently have) may result in lower overall interest costs. The interest you pay on your mortgage or home equity loan may also be tax-deductible if you itemise your deductions, but remember a home loan puts your home at risk. They will be able to explain the alternatives and may offer you a special program because of your existing relationship. Evaluating these real estate-based alternatives especially can get a bit complicated, so you may want to discuss them with a financial professional like mortgage brokers. Remember that borrowing money – even if it is for debt consolidation – means you have to repay https://www.icompareloan.com/resources/expat-personal-loans/it. If your borrowing is too high, take immediate steps to reduce it. Every dollar of debt reduction will translate into less interest you have to pay. Get professional help if you need it. Mortgage brokers may help consumers when all else fails, especially since their service is free and they have helped thousands. But be very wary of any organisation that wants you to pay a fee for their services or that promise an easy solution to your situation. If their message sounds too good to be true, it probably is. But before you approach a licensed money lender, consider other alternatives, such as the various financial assistance schemes offered by various Government agencies. As you are legally obliged to fulfil any loan contract you enter into with a licensed moneylender, consider whether you are able to abide by the contractual terms, bearing in mind your income and financial obligations. 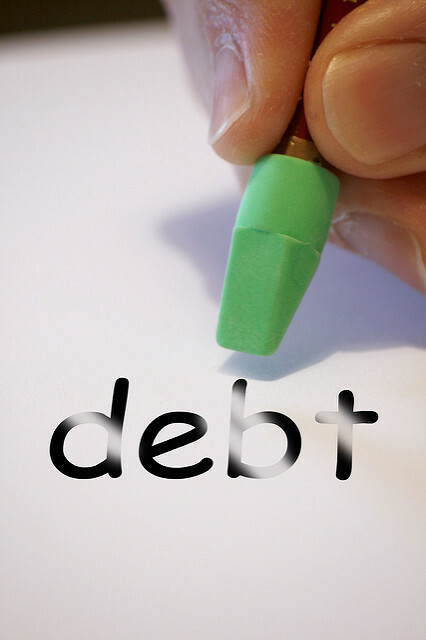 Even in debt consolidation, borrow only what you need and are able to repay. Be mindful that if you are unable to meet the contractual terms, the late payment fees and interest payment will be a financial strain not just on yourself but also on your family. The law requires moneylenders to explain the terms of a loan to you in a language you understand and to provide you with a copy of the loan contract. Make sure you fully understand the terms of the contract, in particular, the repayment schedule, the interest rate charged and the fees applicable. Regardless of how much of a financial crunch you are in, you should always shop around different moneylenders for the most favourable terms. You should not rush into and commit yourself to a loan until you are satisfied with the terms and conditions. The post Debt consolidation is debt management – not debt elimination appeared first on iCompareLoan Resources.